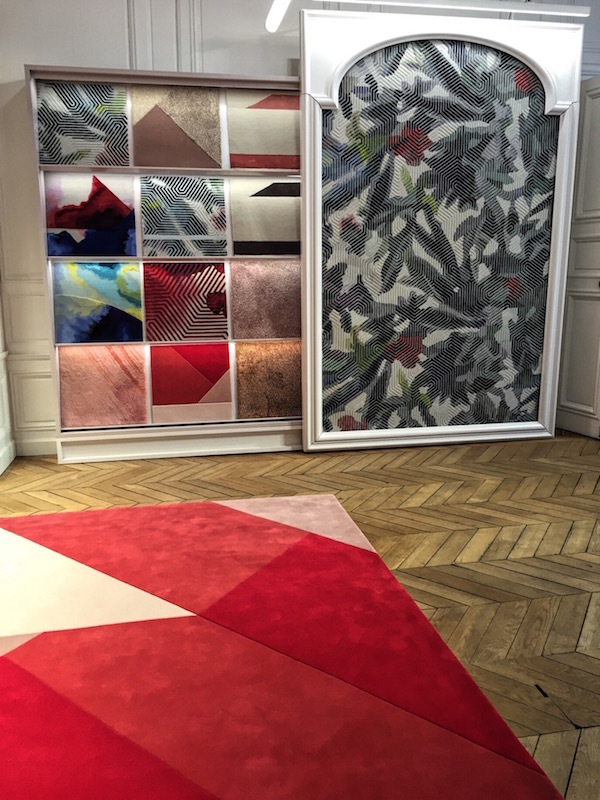 It’s wonderful that more and more companies are choosing to do pop ups in the city during the shows but it also makes seeing all the new collections at Paris Deco Off a bit challenging, especially this year as I was busy at the pop up as well. One stop I always make time for is Jim Thompson. 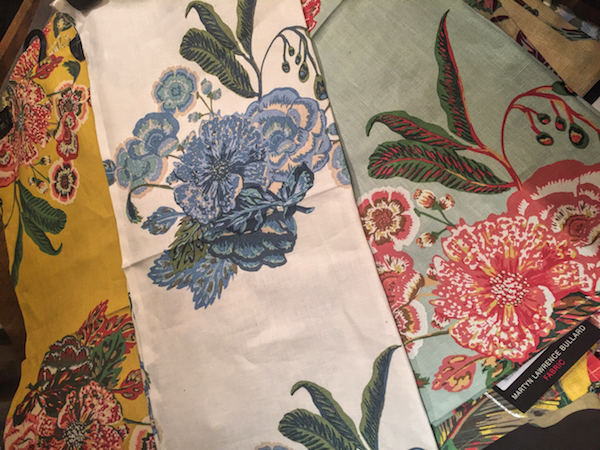 The latest collection, cleverly titled Bonsai of the Vanities, is inspired by the archives and the private collection of the Royal Palace. Creative Director Ou Baholoyodhin does such a beautiful job art directing the room sets, I thought I’d share his vision for the collection. 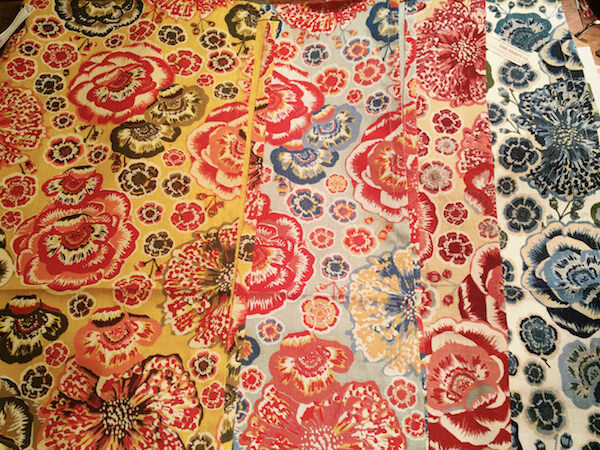 One of the signature fabrics in the collection, Broderique is a modern interpretation of an 18th Century Chinese embroidery, executed in exuberant contemporary colorways on linen, top. Also available as a wallpaper, it is shown above in one of the four colorways. 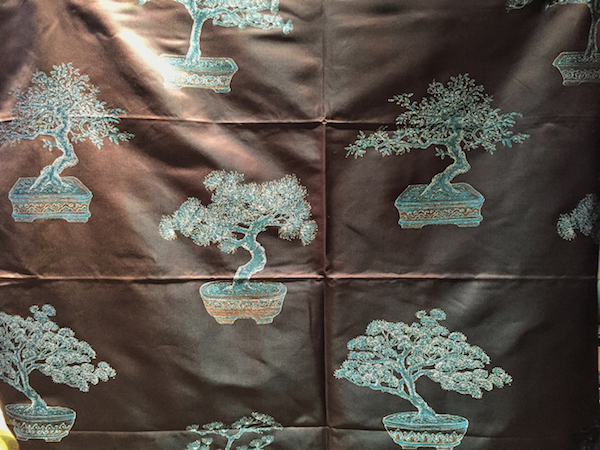 On the ceiling is Cedros, also seen on the walls at top, a pattern depicting one of the most treasured Bonsai trees. 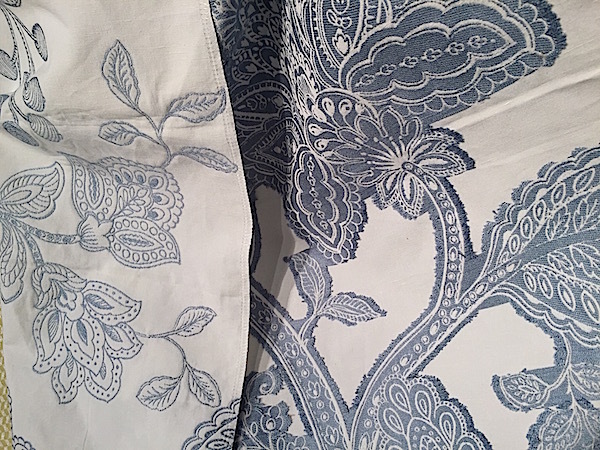 Available both as wallpaper as above and as a sumptuous silk, below, it is elegant and modern. 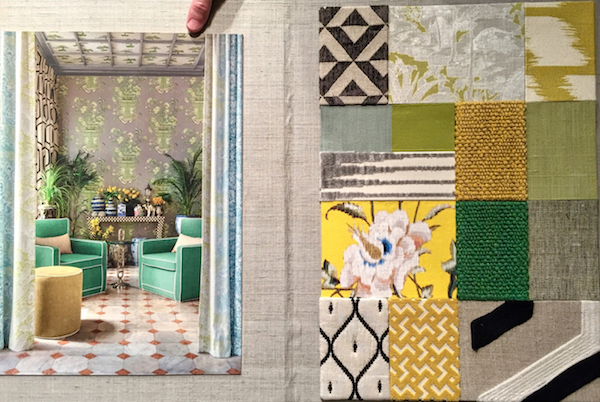 Below you can see how many of the beautiful fabrics in this collection coordinate to work together (please excuse the thumb – not mine). 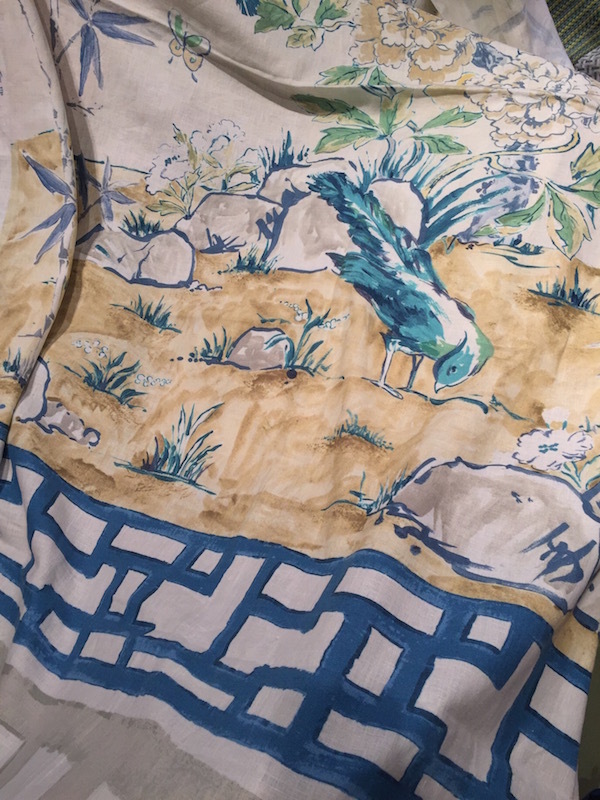 Richard Smith often creates his No.9 Collections for Jim Thompson based on drawing and painting, lending them a fresh and artisanal feel. 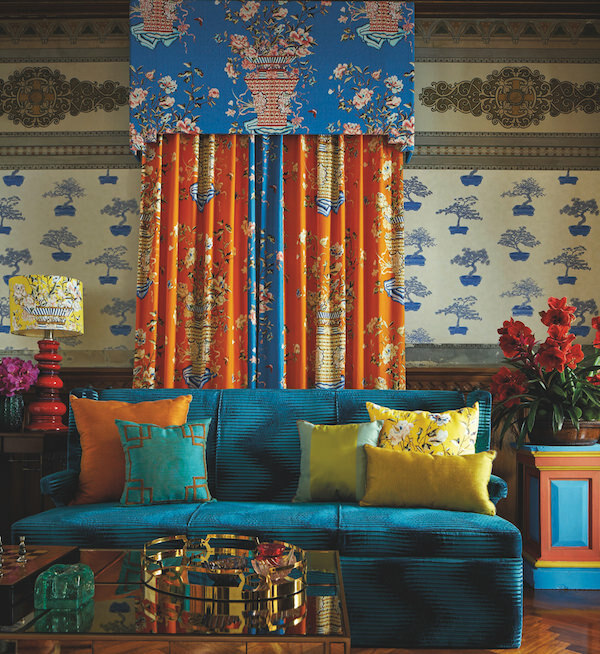 For his Pageant collection, the most dramatic pattern is Chinese Panel. Based on hand painted Chinese wallpaper, it is a watercolor-like impressionistic portrait. The panels are enormous – over 11 feet high, offering great flexibility to use with or without the trellis border. 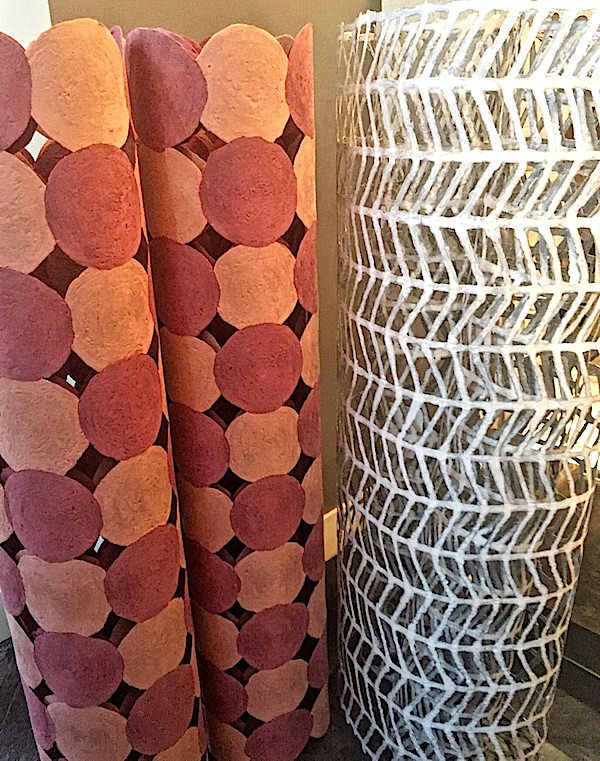 Marigold, inspired by traditional Indian block prints, Orbit, a modern version of crewel work of embroidered interlocking hexagons and Riva, a 30’s inspired trellis woven in chenille are examples of the variety of pattern and texture in No.9. 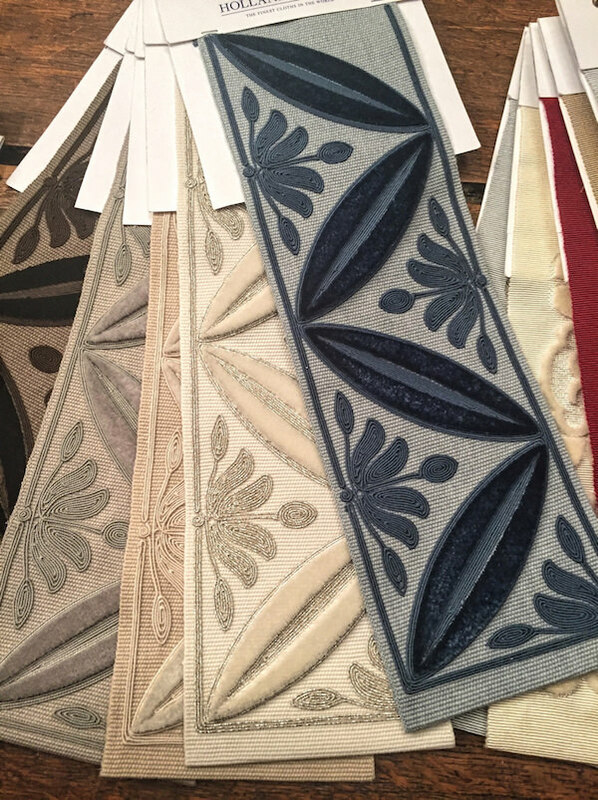 Another emphasis in the collections at Paris Deco Off was trim. 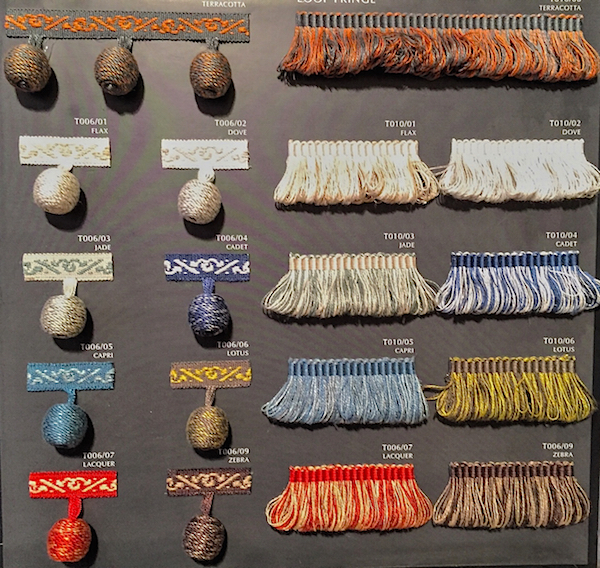 And both Jim Thompson, with Precious Metals and Naga Trim (below), and No.9 with Bands of Colour, presented new collections. 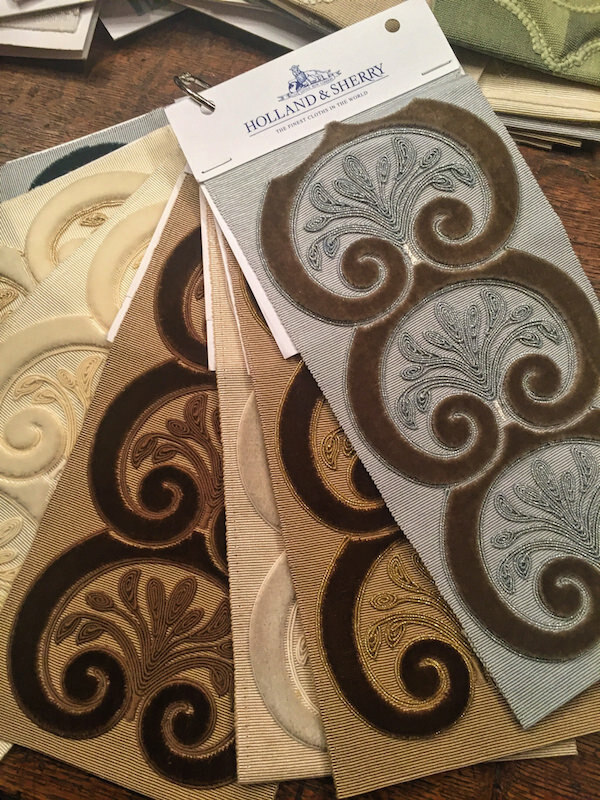 Holland & Sherry presented their beautiful new Adorned Trim Collection designed by Nicolas Chambeyron. With incredible couture details, these are exquisite examples of where fashion meets decor. 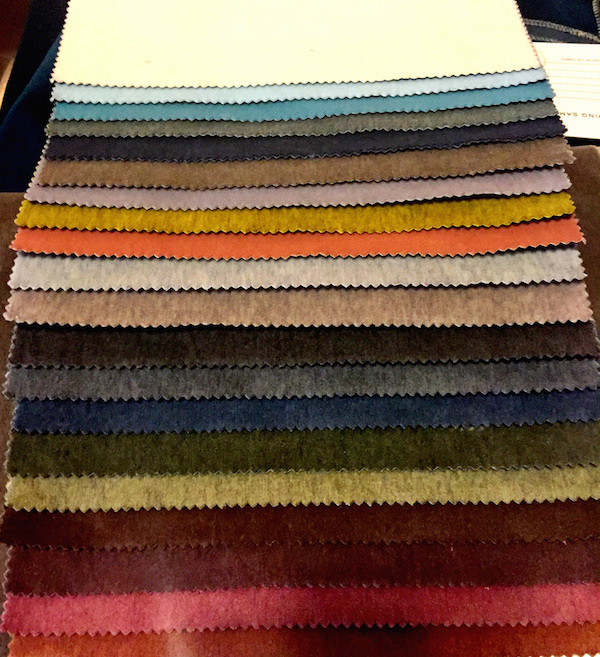 Also in the Holland & Sherry showroom, Fortuny showed their new collection, the highlight of which, for me, was their luxurious new Bacan cashmere cotton velvet. 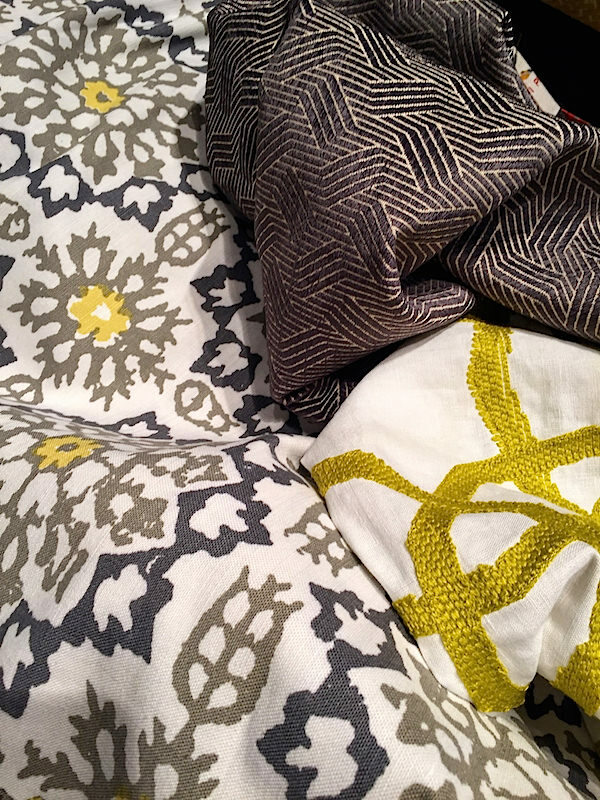 in a wide array of sumptuous colors. 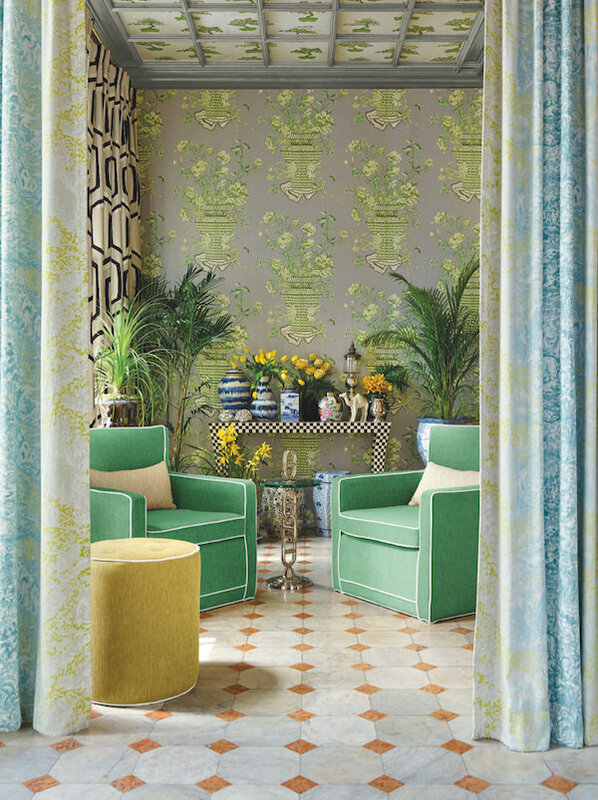 Pollack and Lori Weitzner showed in a beautiful Parisian apartment. 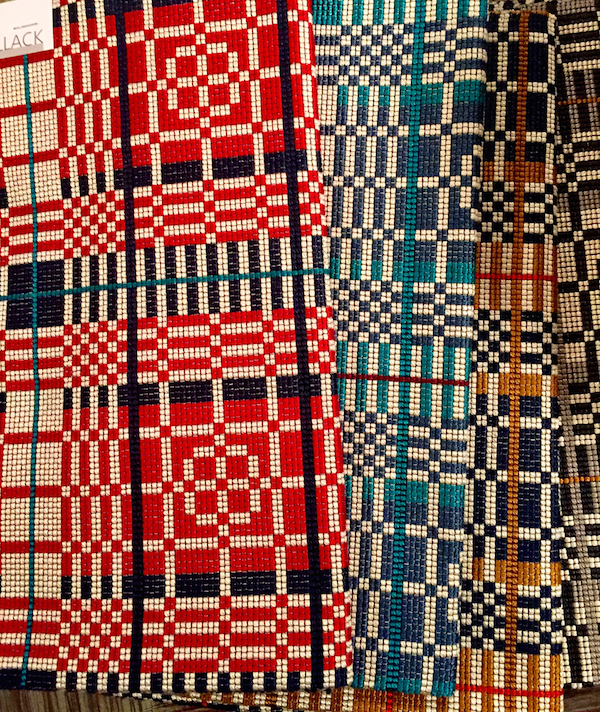 The new Weave On collection focussed on inventive techniques inspired by the American tradition of hand-woven coverlets. 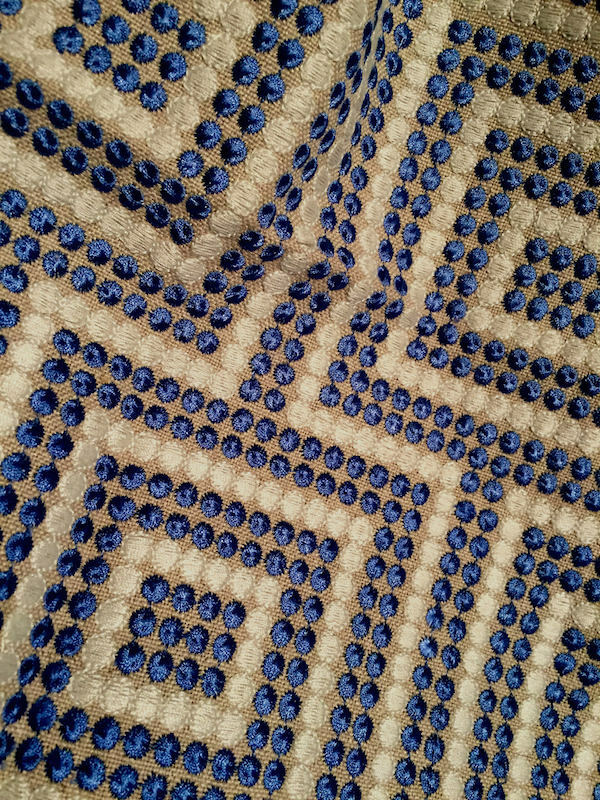 One of my favorites was the signature pattern, Weave On. And Eliza shows the popularity of embroidery at the shows. 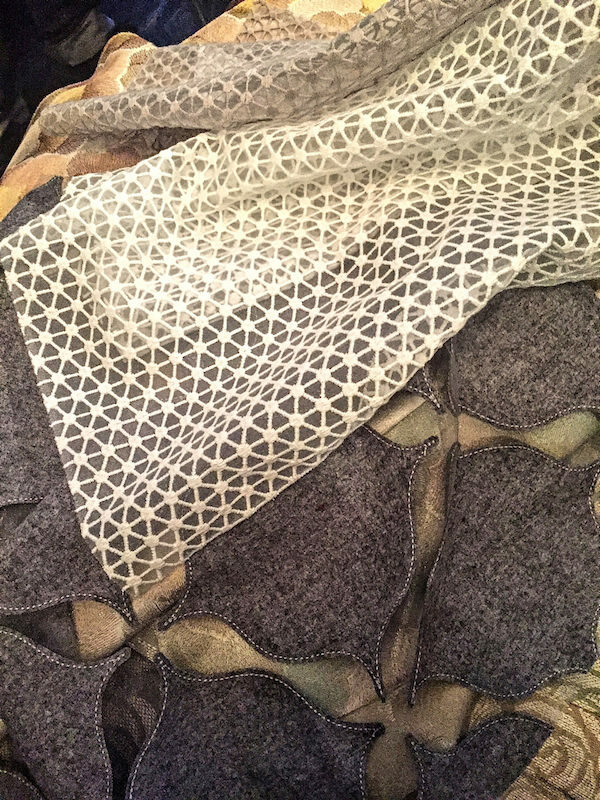 Lori Weitzner is brilliant at combining innovative concepts with completely artisanal methods, resulting in versatile and unusual products not like anything else. We will come back to visit with Lori sometime soon back in the States. You may know Jeff Leatham as the artistic director at the Four Seasons George V , with his breathtaking floral arrangements, but he also crosses the divide to collaborate with other luxury brands, in this case with Tai Ping for his floral inspired Bloom Collection. 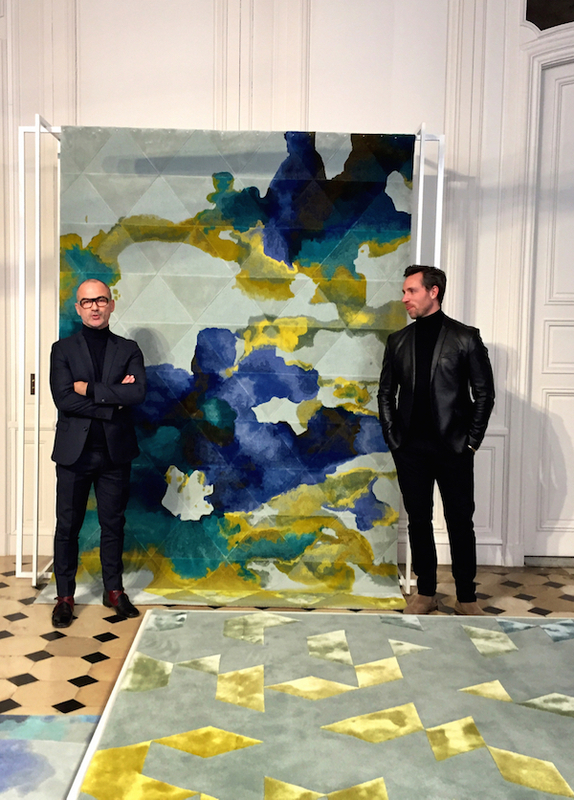 Below, in the gorgeous flagship showroom, Tai Ping creative director Jean Pierre Tortil and Leatham present the collection. Inspired by Monet’s paintings of Giverny, Leatham’s modern romantic collection is tempered with his own bold approach to floral artistry. This entry posted in interior design, travel. 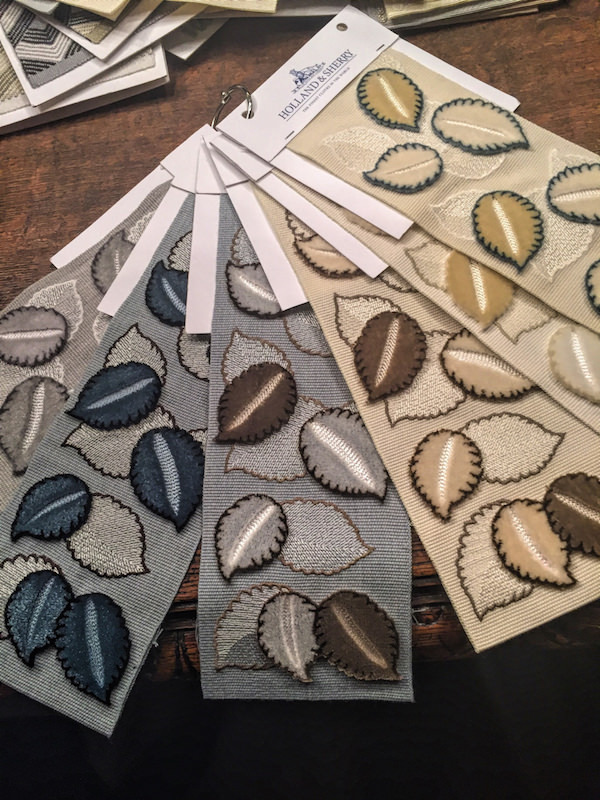 Entry Tags: Designer fabrics, interior design, Paris, Paris Déco Off Bookmark the permalink. Well! 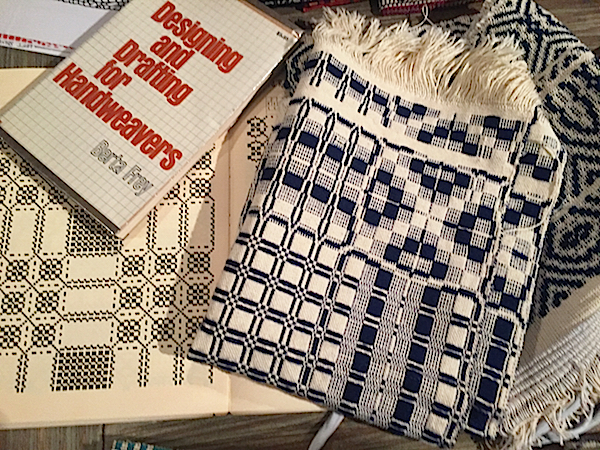 Extraordinary finds to get the creative juices going this morning. Wonderful. Thank you! Indeed. I have one lampshade. Thank you for your gracious sharing. Jim Thompson just does not disappoint! Marvelous! I have never seen my such beauty in my life! 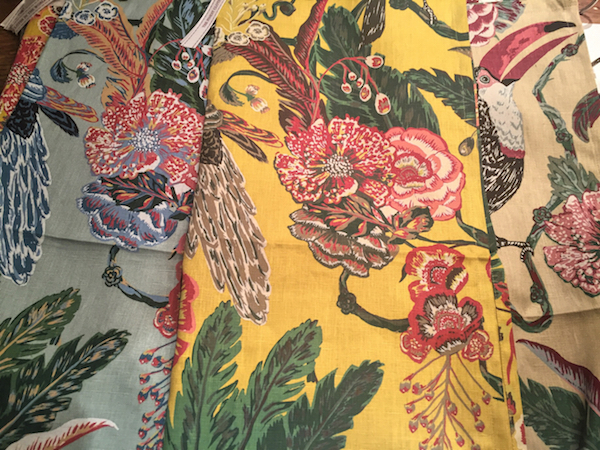 Would you please let me know where I can get information/samples of these exquisite fabrics and wallpaper. Hello Dorothy – there are links to all the collections in the post. I don’t know where you live, but you could inquire regarding the closest design center near you. 84 queries in 0.510 seconds.